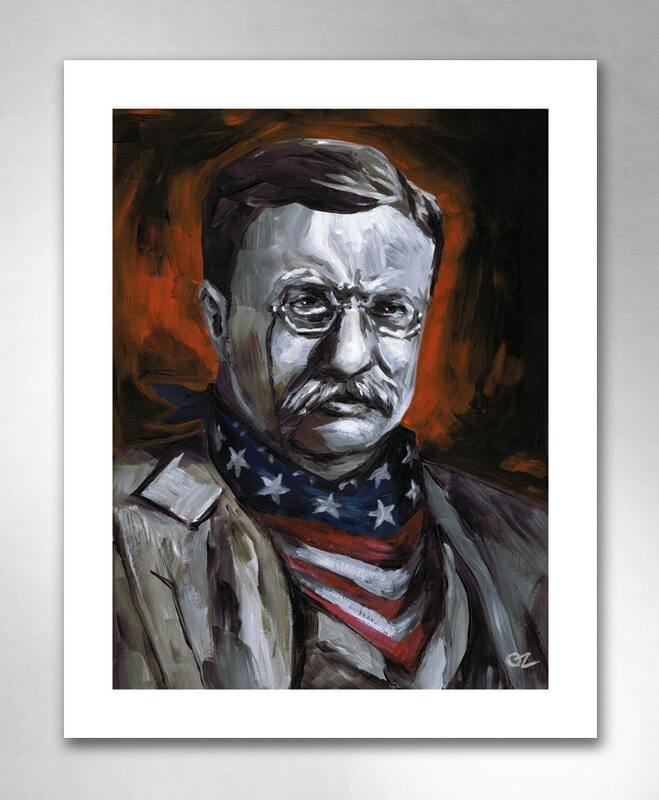 "Teddy Roosevelt: Take No Stuff" art print by Rob Ozborne. From the "Totally Outlawed Americans" collection. 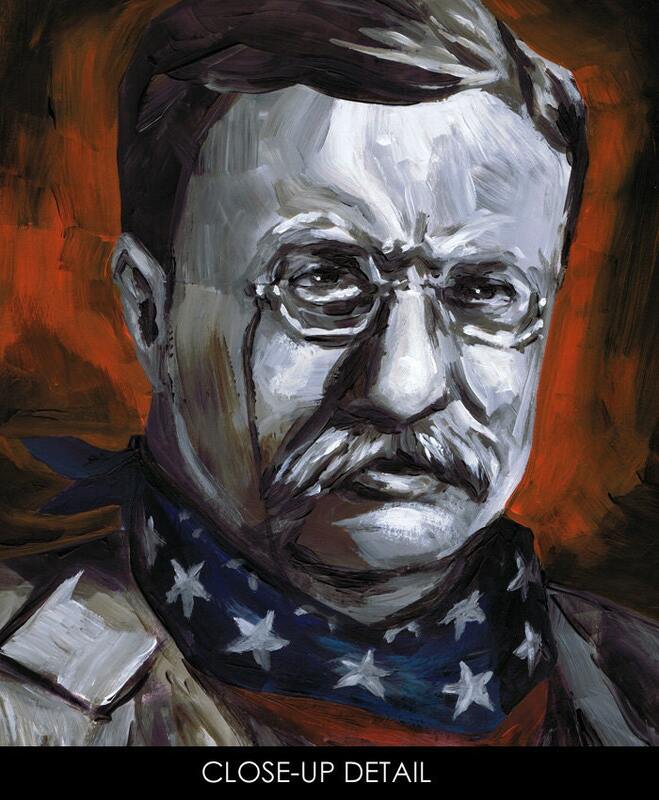 THE STORY: From the original portrait painting, this is the art print of Teddy Roosevelt. He's squaring the deal. He's tough. And he don't take no stuff. THE PRINT: The artwork is richly printed on 11"x14" (27.9cm x 35.6cm) bright white matte art paper. The frame is not included, but the print comes with a white border, and is ready to pop into a frame. THE ARTIST: By Rob Ozborne, each print is hand-signed. Looking for more American art? Follow your heart! Feeling awed? Check out the Totally Outlawed! Want more pop? Back to the shop!